Jeremy Smith wrote:The World Wide Web has been around for long enough now that we can begin to evaluate the twists and turns of its evolution. 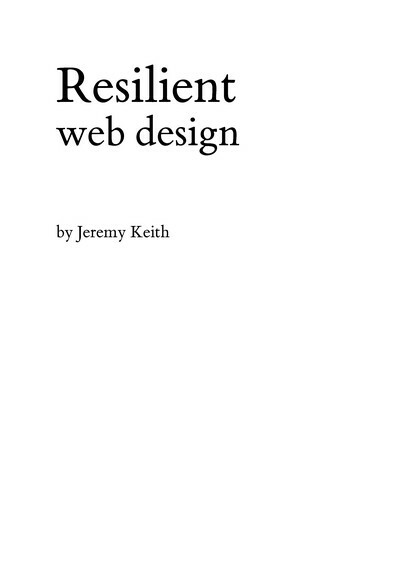 I wrote this book to highlight some of the approaches to web design that have proven to be resilient. I didn't do this purely out of historical interest (although I am fascinated by the already rich history of our young industry). In learning from the past, I believe we can better prepare for the future. You won't find any code in here to help you build better websites. But you will find ideas and approaches. Ideas are more resilient than code. I've tried to combine the most resilient ideas from the history of web design into an approach for building the websites of the future. Jeremy Keith (@adactio) is a web developer and author living and working in Brighton, England. Working with the web consultancy firm Clearleft, Jeremy enjoys building accessible, elegant websites using the troika of web standards: XHTML, CSS and the DOM. 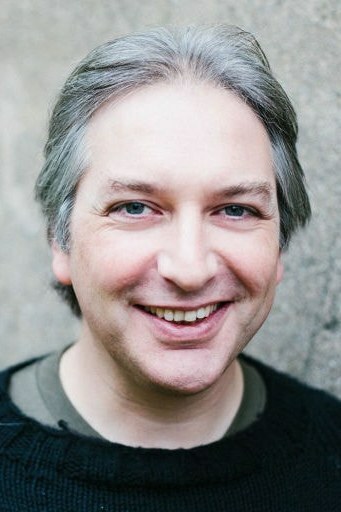 Jeremy is a member of the Web Standards Project. When he's not building websites, Jeremy plays bouzouki in the alt.country band Salter Cane. He is the creator and curator of one of the Web's largest online communities dedicated to Irish traditional music, The Session. He is also the creator of Huffduffer, helping people put together podcasts of audio files discovered on the web.